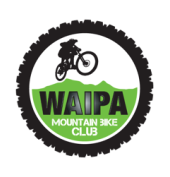 Contact us - Waipa Mountain Bike Club Home of the Waipa Mountain Bike Club. The best place to keep up to date with what’s happening is our facebook page, feel free to send us a message there. If you’re after further information about the club you can also contact President Les McKenzie on mailto:les.mckenzie29@gmail.com or 021 247 7464.